Charles M. Rice, Maurice R. and Corinne P. Greenberg Professor in Virology and head of the Laboratory of Virology and Infectious Disease, has been honored with the 2016 Lasker-DeBakey Clinical Medical Research Award, the country’s most prestigious science prize. Rice shares the award with Ralf F. W. Bartenschlager of Heidelberg University and Michael J. Sofia of Arbutus Biopharma. The three researchers are being recognized for developing a system to study the replication of the virus that causes hepatitis C and using it to revolutionize the treatment of this chronic disease. The award will be presented on September 23 in New York City. Established in 1945, the Lasker Award is the nation’s most distinguished honor for outstanding contributions to basic and clinical medical research. Eighty-seven Lasker laureates have received the Nobel Prize, including 41 in the last three decades. With Rice, 22 Lasker Award winners have been associated with The Rockefeller University. The system created by Rice and his colleagues, which allows for the replication of the virus’s genome in culture, using human cells, has enabled researchers throughout the world to conduct studies that had previously been possible only in human research subjects and non-human primates. The technique was seized upon by companies working to create drugs against hepatitis C, and led directly to the development of three new classes of such drugs, each of which potently inhibits HCV replication in cells and in people. Clinical studies have shown that combinations of these drugs can cure the disease in nearly every patient they are administered to, with minimal side effects. Rice’s work has received substantial support from the Greenberg Medical Research Institute, Inc. (funded by Maurice R. and Corinne P. Greenberg, and The Starr Foundation). 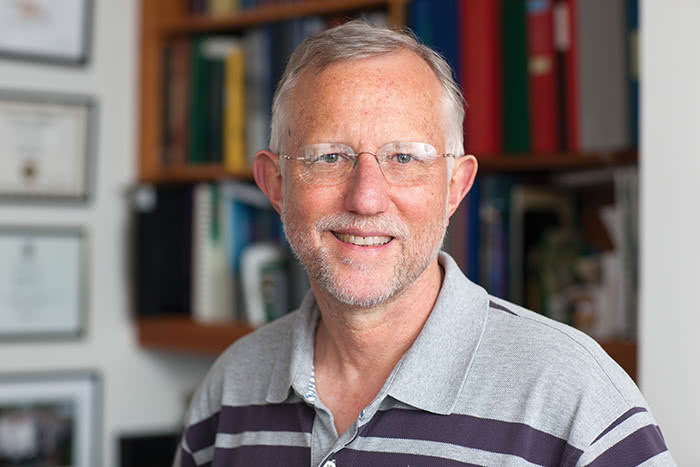 Rice, who is also scientific and executive director of the Center for the Study of Hepatitis C, investigates how viruses propagate, interact with host cells, and cause disease. There is no vaccine for the disease caused by the hepatitis C virus, and without treatment, between 15 and 30 percent of people infected develop liver failure or cancer. Until the work of Rice, Bartenschlager, and Sofia, treatment included drugs with side effects that many patients could not tolerate, and that often did not cure the disease. Before joining Rockefeller in 2000, Rice was a faculty member at Washington University in St. Louis. He earned his bachelor’s degree in zoology from the University of California, Davis, in 1974 and his Ph.D. in biochemistry from the California Institute of Technology in 1981. In addition to the Lasker Award, Rice has received numerous scientific honors including the 2007 M.W. Beijerinck Virology Prize, the 2015 Robert Koch Award, and the 2016 InBev-Baillet Latour Health Prize. He is a member of the National Academy of Sciences and a fellow of both the American Academy of Arts and Sciences and the American Association for the Advancement of Science. A high-resolution image of Charlie Rice is available here. Credit John Abbott / The Rockefeller University.